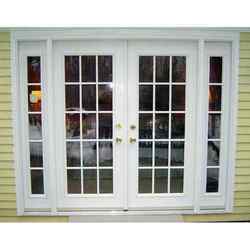 We offer two types of french doors. Fiberglass and Vinyl. Both swing in and swing out.